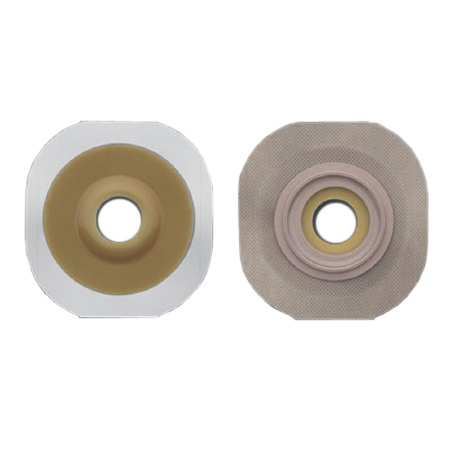 Hollister New Image Two-Piece Convex Standard Wear Pre-cut FlexWear Skin Barrier With Tape Border eliminates pressure on tender post operative abdomens with the exclusive floating flange. Built-in convexity means added security and skin protection for recessed, retracted and flush stomas. FlexWear skin barrier provides skin protection for an extended wear time.